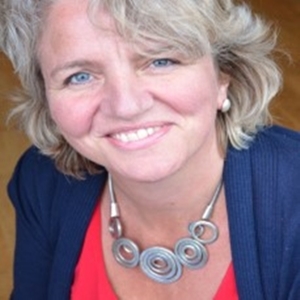 Liz Goold is an experienced organisation consultant, facilitator and coach with over 28 years’ experience working in the field of organisation development, learning and change within the voluntary and public sectors and with donor agencies and Foundations – in the UK, Europe, Africa and Asia. She specialises in accompanying individuals, teams, Boards and organisations through change and transition; facilitating strategic thinking and systems change; leadership team development; and innovative and experiential learning programmes in leadership and organisational change, including with the National College, Ashridge Business School and Public Health England. She is an accredited and experienced executive coach, workplace mediator, leadership team coach and MBTI practitioner, as well as facilitator of Action Learning Sets. She is also experienced in running large group processes using World Café, Appreciative Inquiry and Open Space. Liz brings a complexity and systemic approach to her work, which enables her to keep the wider picture in mind, whilst paying attention to what is happening in the ‘here and now’. This may include surfacing unhelpful patterns of behaviour and mindsets, as well as cultivating what works. She is particularly interested in working across boundaries, be they organisational, sector, cultural, professional, geographical – helping to build connections and work with difference and power relationships. She enjoys using her strong inquiry, relational and facilitation skills to help create the conditions and humanising spaces for different kinds of conversation that support positive and sustainable shifts in thinking and practice, in support of purpose and positive change in the lives of communities and citizens. She has a background in international development, human rights and sustainability and was co-Director of a Masters-level development programme for leaders of civil society foundations in Central and Eastern Europe. She has also served as a trustee of an international NGO for over 13 years. Liz has worked as a coach and mentor for chief executives, senior leaders and change practitioners across housing, local government, NHS and international NGOs and Foundations, working with some for several years. She is also an experienced team coach and is keen to support a peer learning and coaching culture within organisational life. She recognises the importance of individuals having regular opportunities to step back, reflect and work through knotty challenges and questions facing them in their work practice and leadership journey, with someone who is experienced and trusted and not directly involved in their work and life. She sees this as being of particular value to leaders and senior managers given the sense of isolation they can sometimes experience. A deep commitment to peer learning and becoming more of a ‘reflective practitioner’ in her life and work and seeking to support this in others. Drawing on her own consultancy work and readings from relevant theories/models, where appropriate (for example, complexity theory, Transactional Analysis (TA), Gestalt, constellations).